Brisbane City Council recently voted to endorse a Neighbourhood Plan for the controversial Upper Kedron Cedar Woods site during the final City Hall meeting for the year. 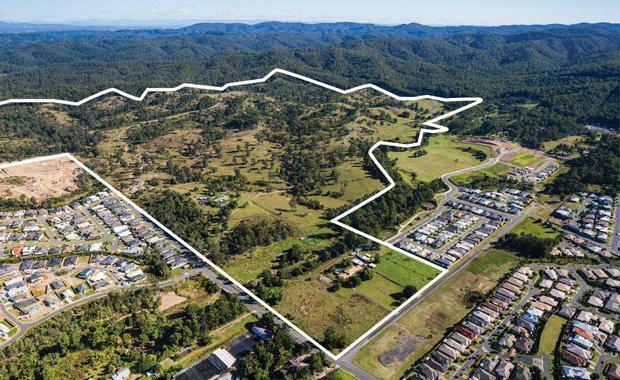 The endorsement of the plan came after the State Government ordered council to revisit it in September last year; a directive which followed the Cedar Woods development call-in by local member Kate Jones. Council earlier this year then approved 99 lots for the stage two development following the approval of the State Government for 480 lots in part of the Cedar Woods site, after rejecting the original proposal for 1350 lots. According to The Courier-Mail, Council planning boss Julian Simmonds accused Ms Jones of caving in to community pressure despite the State Government identifying the area for future development. “That is why we’ve had to plan - because they’ve completely changed the goal posts on the community,” Cr Simmonds said. “We saw the Deputy Premier out there saying this area could accommodate up to 1200 dwellings - even more than what council had originally envisaged as part of its approval process. A one-year deadline was given to Council to finalise the plan, but Lord Mayor Graham Quirk is convinced that will not be enough time because proper processes needed to be followed. “The administration prides itself on various steps of non-statutory consultation undertaken for all of our neighbourhoods,” Cr Quirk told The Courier-Mail. Despite the wheels now moving on Cedar Woods, the news is not satisfactory for Opposition Labor councillor Shayne Sutton, who reportedly said council should have started a neighbourhood plan for the area back in 2009 when the it had been identified as an emerging community. “Only as result of a State Government call in and then a subsequent ministerial direction did this council finally commence this neighbourhood plan,” Cr Sutton said. Any future Cedar Woods development approvals will go through normal council processes.